Newly available North American tuning products from DMC Concept! Don’t look for their online catalogue, it’s here! I am their North American agent. You can order the parts by contacting me, using your Paypal account. Click on the images below for bigger images and feel free to contact me with inquiries. 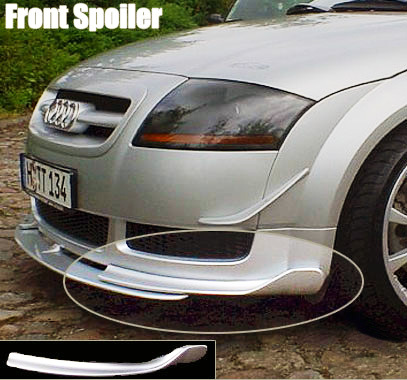 The DMC Audi TT Front Spoiler is one of the easiest way to enhance the appearance of your Audi TT. 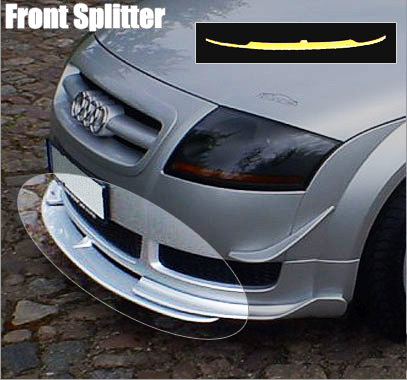 It can be installed with or without the DMC TT Front Splitter. Look very good on all OEM or aftermarket bumpers. Easy to install and needs paint. 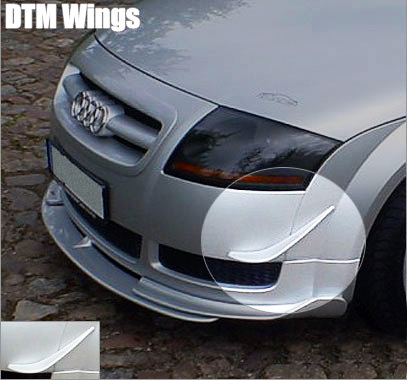 The DMC Audi TT Front Splitter is one of the easiest way to enhance the appearance of your Audi TT. 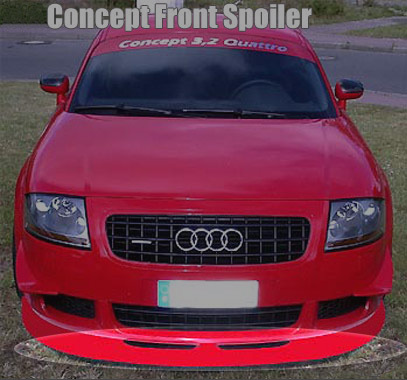 Needs to be installed with the DMC TT Front Spoiler. 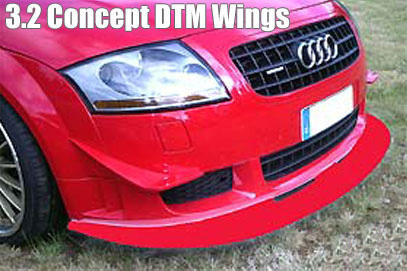 The DMC Audi TT DTM wings not only look great, but they also have a function by adding to the down force produced at the front of the car. It won’t go without being noticed! 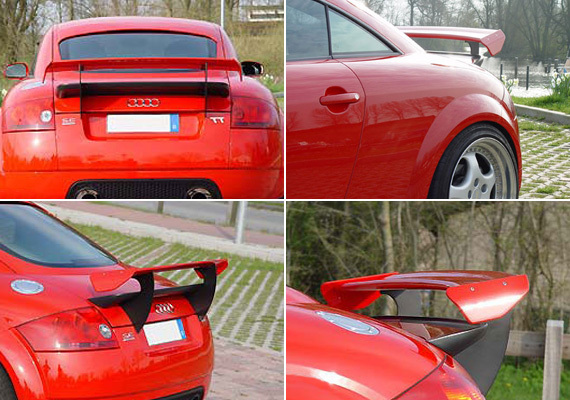 The DMC H1 Spoiler for the Audi TT fits with the need for removal of the standard rear spoiler. 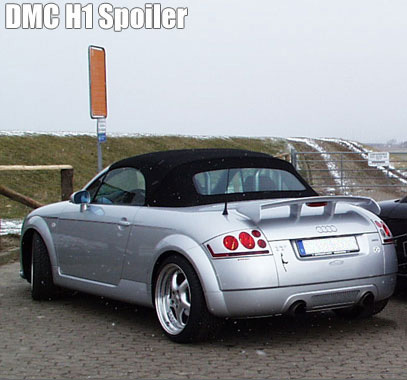 This H1 spoiler will make your Audi TT look unique and closer to Audi’s original design. 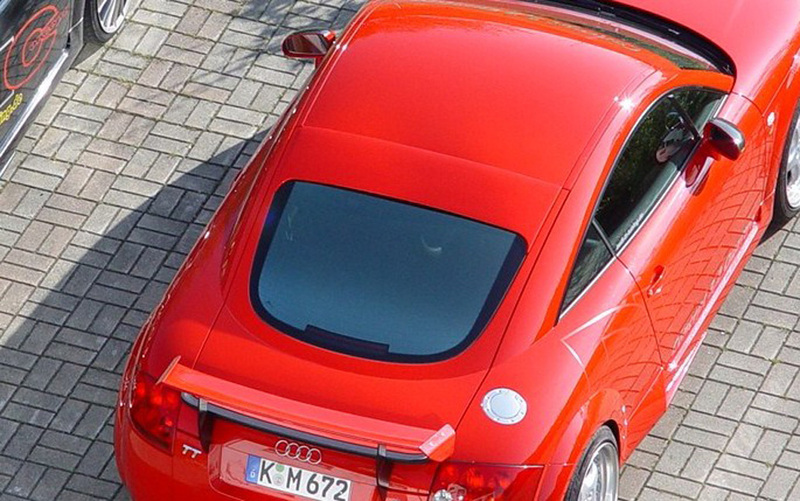 The DMC Tuning H2 Spoiler for the Audi TT fits without the need for removal of the standard rear spoiler. 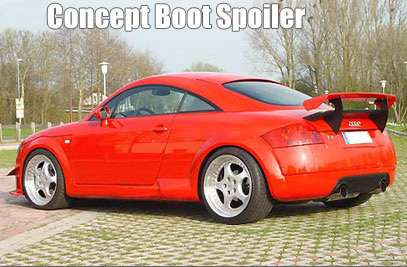 The H2 Spoiler is similar to the H1 spoiler and will make your Audi TT look very unique. 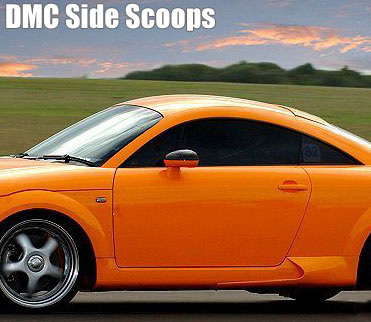 The DMC Side Scoops for the TT Coupe or TT Roadster are completely unique and a great way to enhance the side of the car. They bond and screw onto the Audi TT sill and widen the look of the car when viewed from the front and rear. Supplied ready to paint. 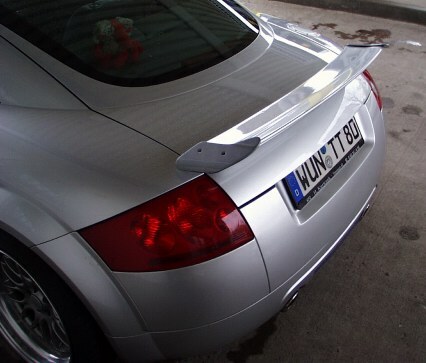 DMC Tuning’s Audi TT Rear Roof Spoiler looks very good once painted and installed on your TT. It allows you to lower the TT color lower onto the back glass, which is good for custom paints or designs. It’s another easy way to distinguish your TT from others. 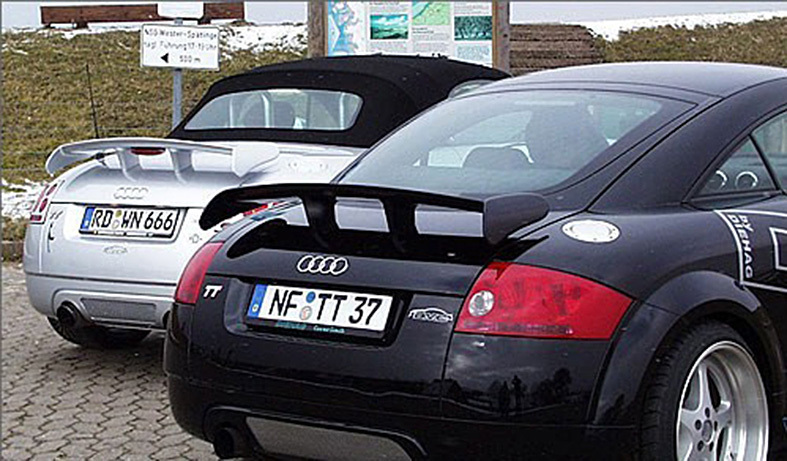 The DMC Tuning 1.8 or 3.2 Concept Rear Wings for the Audi TT fits without the need for removal of the standard rear spoiler. 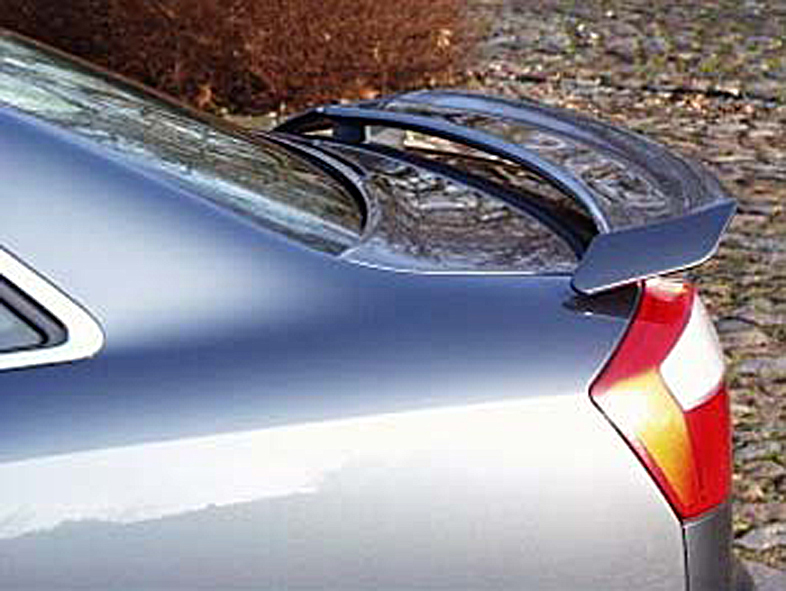 The spoiler mounts are truly beautiful and the high rise spoiler will make your Audi TT look more sporty and aggressive. Needs painting. 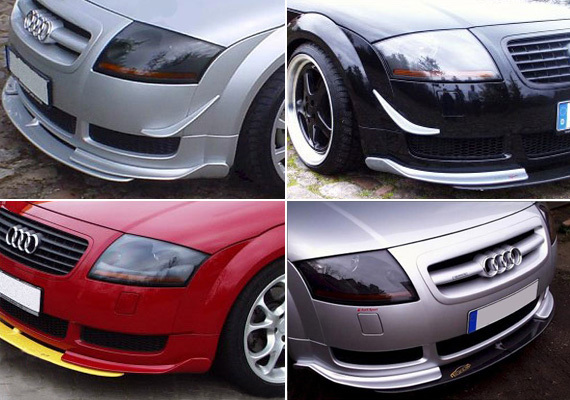 The DMC Audi TT 1.8 or 3.2 Front Spoiler is one of the easiest way to enhance the appearance of your Audi TT. 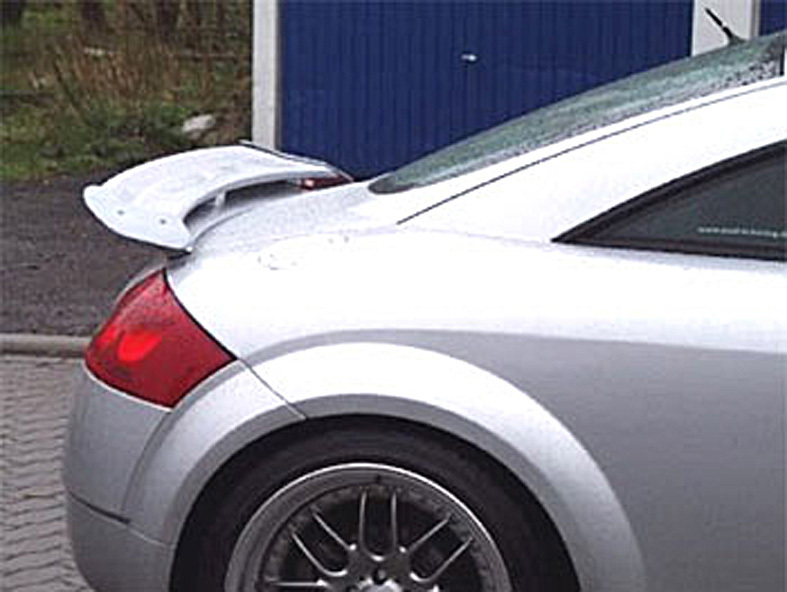 The Spoiler simply bonds onto the original front bumper of the TT after painting. 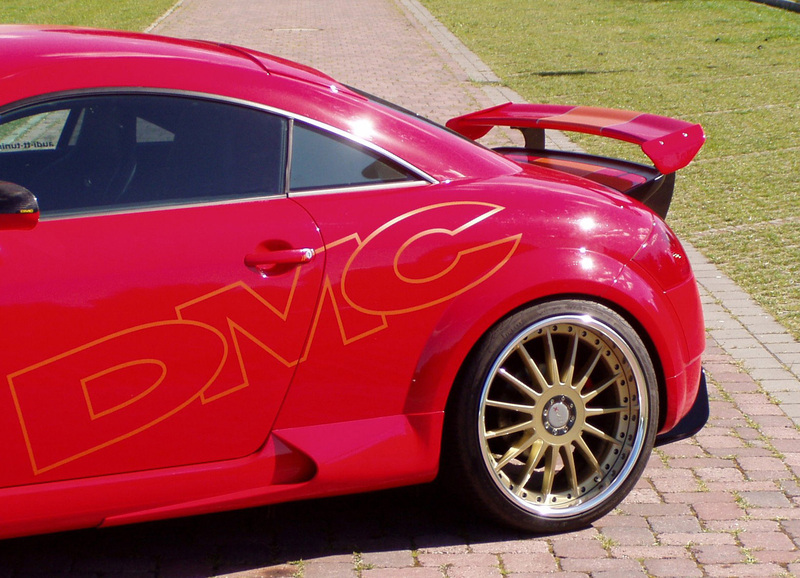 The DMC Audi TT 1.8 or 3.2 Concept DTM wings not only look great, but they also have a function by adding to the down force produced at the front of the car. It won’t go without being noticed! DMC Tuning’s Rear Diffuser is one of their best tuning masterpieces. It changes the look of the TT in a snapshot, creating a unique, ready-to-the-race-track TT. This is a very rare TT mod and is now available in North America. 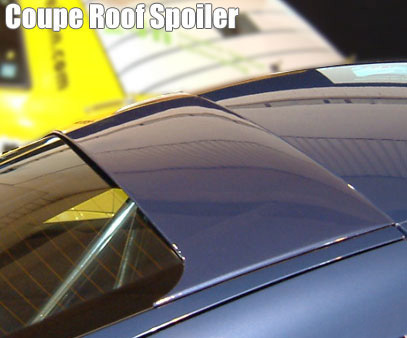 There are less than 20 cars with this Rear Diffusor (Valance) in the US and Canada together! Don’t hesitate! 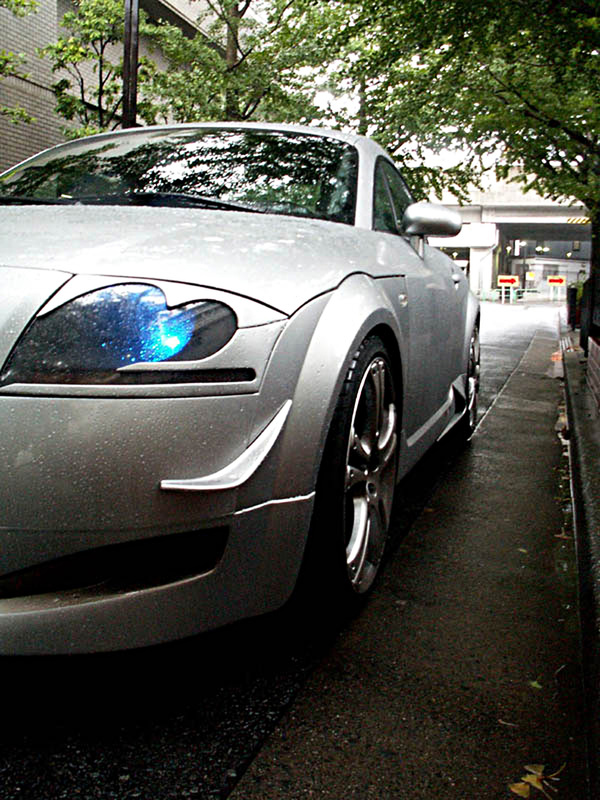 It will look very hot if you already have a performance exhaust system on your TT. Note: The DMC parts are extremely rare in North-America. It’s a sure way to differentiate yourself form the other TTs! I am really interesting in the rear wing and front lip spoiler, How I can order them? I clicked at the link( order now by paypal )but won’t work? All you have to have do is to send me an email with the parts you want. I will calculate shipping and give you the total cost. Afterwards, you have to send me payment using Paypal. That’s it! 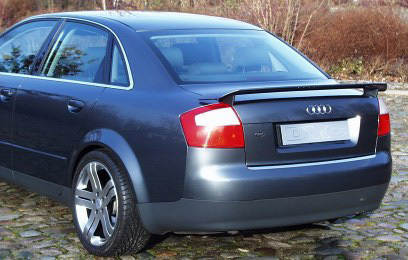 Hi how much would the rs front bumperbe for my audi tt year 2000? 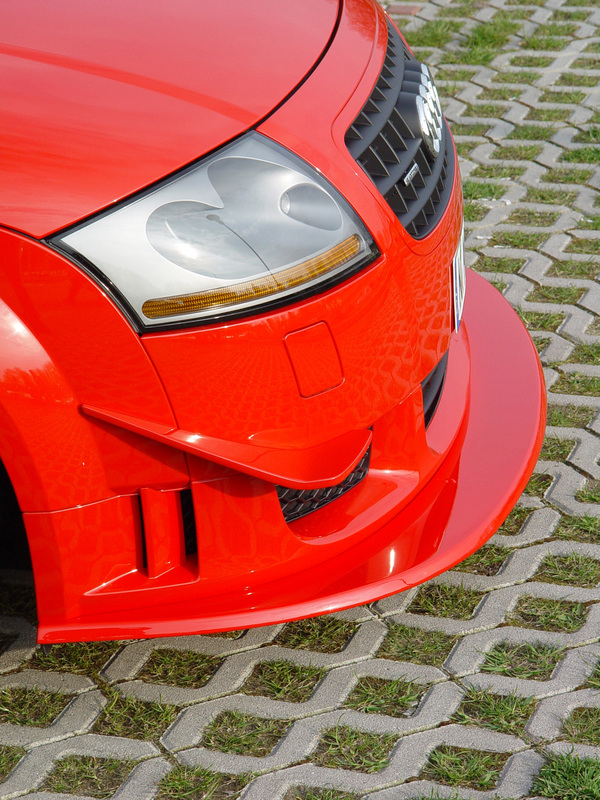 Which front bumper are you referrring to exactly? I will have someone contact you. ¡ Hola !. Estoy muy interesado. Tienes envios a Guadalajara Jalisco México ? Sí, lo puede enviar a mexico! Do you still have all the parts for the Audi TT Quattro 8N? I’m interested on the Rear Wing and Rear Diffuser. But delivery will take some tiame as the German factory take quite some time to produce them. How many wks or months? I’m not in a hurry my car is still at the shop. I’d say about 2 months as we speak. What is the lead time on the DTM 3.2 rear wing? Ready to ship, the factory has moved. Let me confirm the shipping costs and I will let you know asap. Do you have an 1.8T or 3.2? 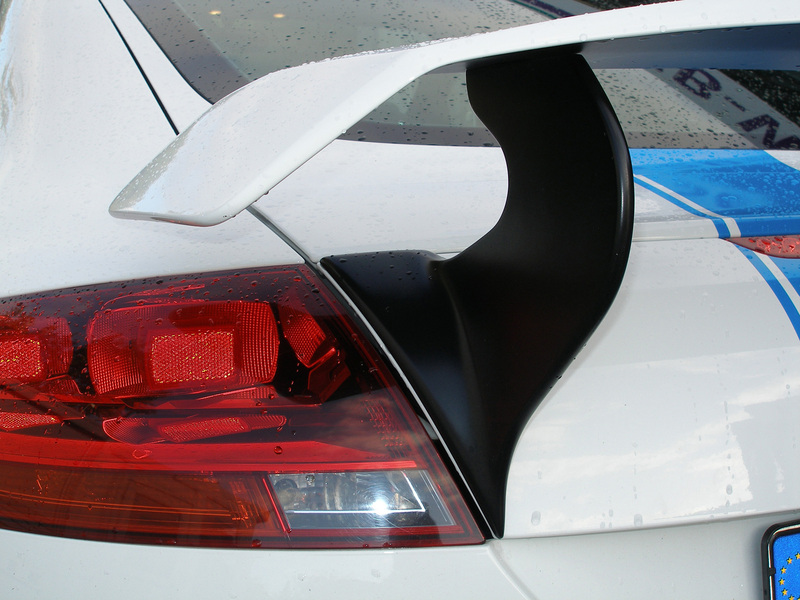 I found out your Homepage with this nice Audi TT DTM Rear Wing (TT001H2). My first question is, do you ship it to Switzerland too? 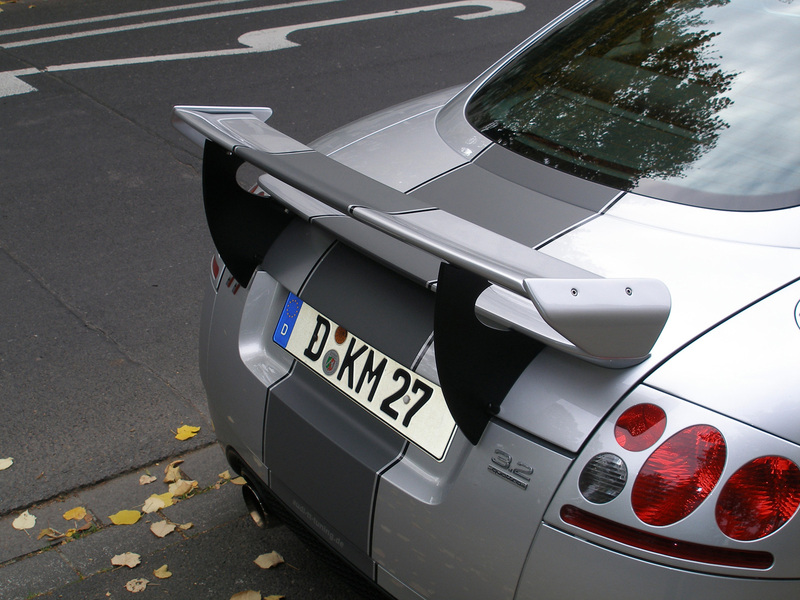 And has this Rear Wing a Authorisation in Europe/ Switzerland? Sure! It’s legal in Europe (incl. Switzerland) and it will be shipped from Germany. I’m in the Bahamas now, but can have it shipped within a few days. Hello Andre, I live in Pittsburgh PA and jsut bought my first Audi TT, switiching it up from a GLI and really excited to get it built and get it on the road…could you possibly point me in the direction of a front bumper, apperently these are incredibly hard to find…I have tried some of the bigger euro junkyards and have scoured the forums…im open to aftermarket or oem really…the one on my car is so haggard im not sure it can be fixed or if it can it will certainly be a lot of work…thank you and look forward to hearing back!!! They are hard to find indeed, if you are referring to the 3.2L bumper. Finding an aftermarket one will definitively be faster. im looking at the diffuser for the rear, the middle one in the 3 pictures. it looks like its wider then the actual stock one, would i need to modify my rear bumper, or would my euro bumper work with it fine? does anyone know how to get that front grill on the silver MK1 the grill is painted all silver to match the car?? It looks like an ABT clone. Simply search google for an ABT front gill. Can you get their TT widebody kit that they have on their Facebook? 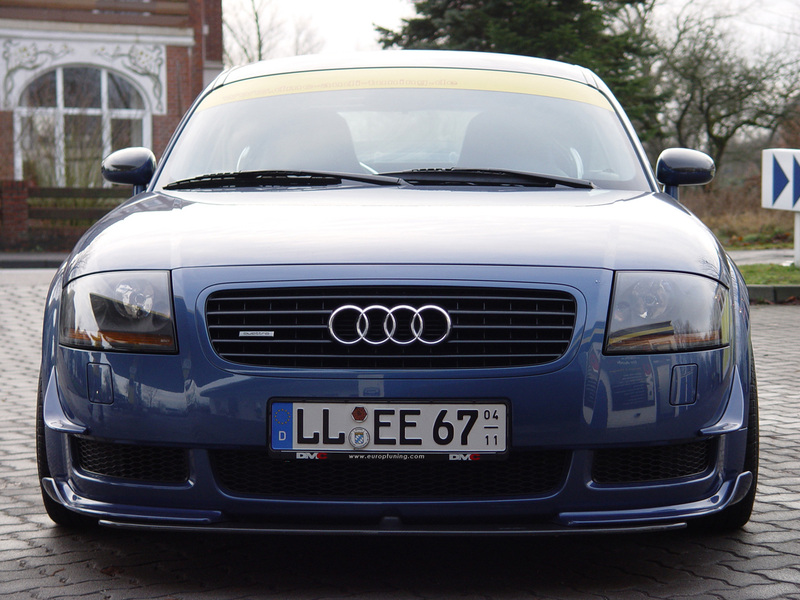 I love the grill pictured on the silver TT…do you offer it? It’s not DMC. 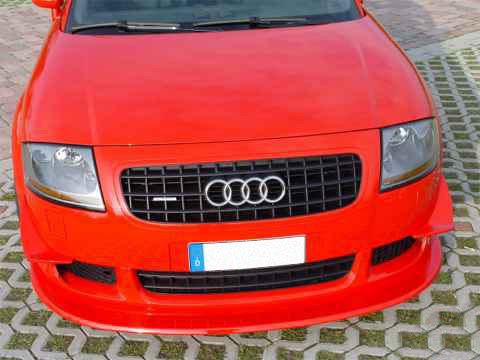 IMO it’s an ABT grill and unfortunately, ABT discontinued it. But you may find used ones around, if your lucky. Take a look, you never know what’s out there! 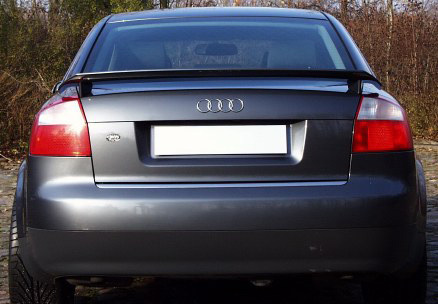 I am looking to purchase a DMC rear spoiler for my Audi TT MK2. Can you get me a price and timeline? It will be shipped to Atlanta GA.
What is the rear diffuser constructed of? What would be the total price shipping to Yuma Arizona? You should contact DMC ditecty on their Facebook page 🙂 I had one but sold it a while back. BTW, you’ll have to cut open your bumper to fit the diffuser.